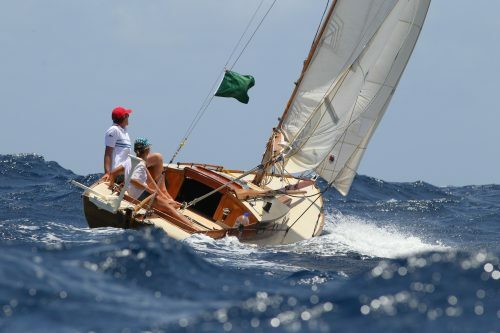 Folkboat Lorema for Sale – Sampson Boat Co.
UPDATE – The Folkboat Lorema has sold. Many thanks to everyone for sharing and helping her to find her new owner. 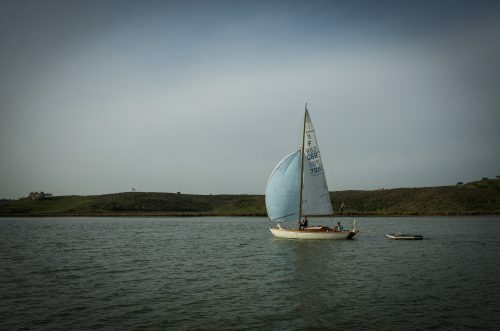 I think she is going to continue a life of adventure and find plenty of blue water under her keel – far better than sitting in a shed under my ownership. Fair winds to her new owner! 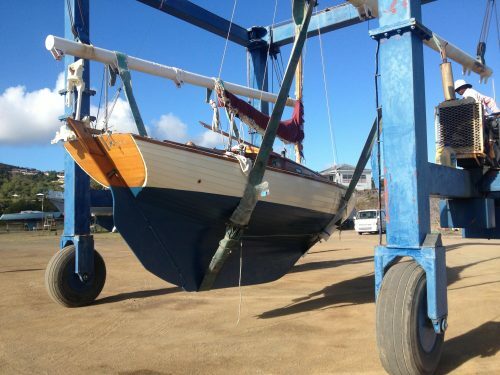 I have taken on a new larger project, and I have to sell my wonderful folkboat ‘Lorema’. I am asking £8000 for a quick sale. It is important to me that this boat is kept alive and loved and sailed, and I am open to offers should the right person approach me. She needs to be sold this week while I am in the UK. She was fully restored in 2013. She is built with Fir and Larch planks on Oak frames, copper riveted. Oak transom, Mahogany coach-house and trim. 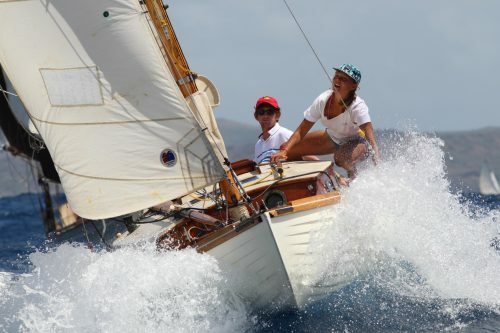 She completed a transatlantic crossing in 2015 and won her class in the Antigua Classics Yacht Regatta that year (as well as a special mention in the Concourse d’Elegance and a ‘Smallest Yacht’ award). She is beautiful and she sails beautifully. I lived on board for years and cruised many thousands of miles in her, and it is very sad for me to let her go. However, I do not have time to sail her now, and it would be even sadder for her to deteriorate unused in a shed. She is in a boatyard in the river Fal, very close to Falmouth. She carries a wind-vane self-steering gear, a used suit of sails, a sculling notch and oar, a woodburning stove, a paraffin cooker (needs maintenance) and lamp, liferaft (needs servicing), a good CQR anchor with 60m of chain, and a lot of cruising gear (everything you need to cross oceans! …lots of lines, lifejackets, trailing log, sextant and tables, a very heavy storm anchor, handheld VHF, etc etc). She has a decked-over cockpit, which gives a huge amount of interior storage space aft, and removes the risk of swamping the cockpit in large seas. It also provides a good platform for rowing the boat with the sculling oar, which provides slow but effective propulsion in calm conditions. Her interior accommodation is small and basic but very cosy – she is very traditional and has no engine, no heads, no tanks, and few on-board electronics (only navlights, anchorlight, one cabin light, 12v speakers, automatic bilge pump, and a solar panel to provide power). 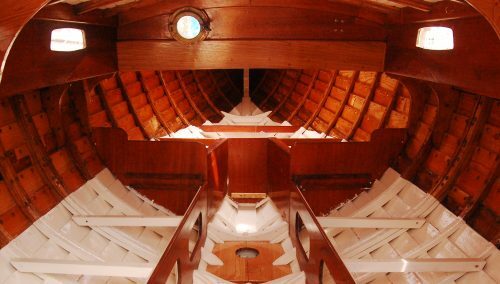 She has two bunks in the saloon, which can be joined together to make a huge bunk the whole width of the boat. Two more bunks can be made in the forepeak if necessary. She has been on the hard in a boatyard in Cornwall (outside for a while, and then in a shed) for over a year, and at some point needs some varnish-and-paintwork to bring her back to her full beauty, although she would be ready to sail away for the summer season once her mast is put back in (taken out for shed storage). 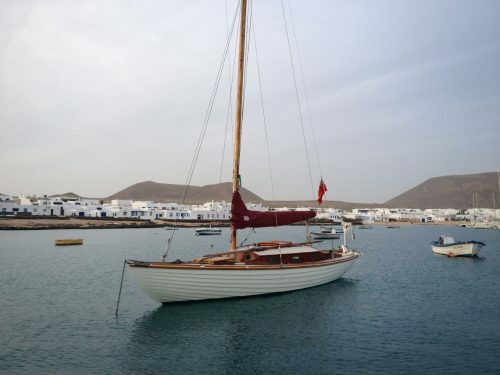 She is a classic wooden yacht, and as such requires a skipper with experience, patience and either the time or the money to keep her in good shape. She is in good general condition but has been well used and definitely needs some tender loving care. It is important to me that this boat is kept alive and loved and sailed, and I am open to offers should the right person approach me. Her restoration in 2013 included replacing the following; topside planks, entire transom, beamshelf, several frames, much of the deck, soleboards, mast, boom, forehatch, tiller, cabin sides, keel bolts checked, etc etc. I will be in Cornwall later this week (around 5th July) and can show people around the boat and assist a new owner with rigging her up etc. She needs to be sold this week. Contact leogoolden@gmail.com for more info. Tally Ho… will sail again! She has a stainless steel ‘Pansy’ – a charcoal burner that I converted to a woodburner by welding a 3″ diameter stainless flue on, to replace the standard 1″ diameter flue. You can see the short flue coming out of the top of the cabin, and there is a 4′ extension that fits onto it and makes it burn really well when you’re not sailing. It works very well, though needs stoking every 5 hours max because it is small. Hope mine turns out just as well. 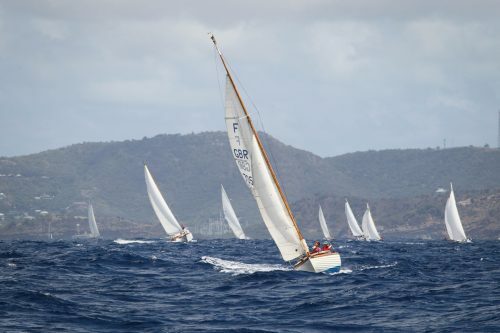 Have you tried the folk boat association for a sale? What kind of wood stove does she have Leo? Love your write up and would love to see a clip of the sculling. She’s an incredible boat. I can see the love you’ve put into her….my compliments sir. 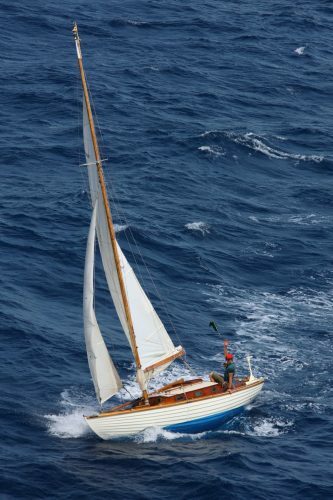 I have neither the experience nor funds, having been funding the restoration of a 1950’s 21ft Easticks-built, A C Robb design for some years, but have loved reading about your adventures and hope Lorema finds a worthwhile home quickly.